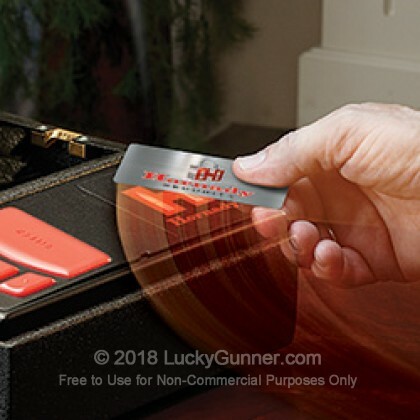 Dimensions - 15.5" x 9" x 3.5"
The Hornady RAPiD Safe utilizes RFID technology to provide instant access to your firearm, when you need it most, while keeping it safely out of the hands of children or would-be assailants. 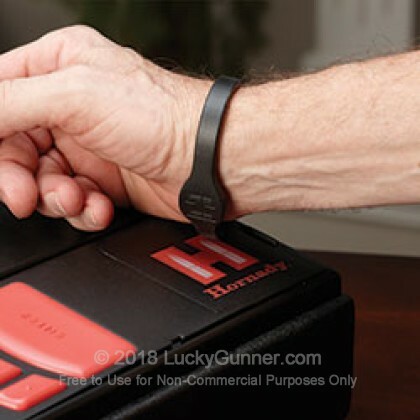 When the included bracelet, wallet card or key-fob are touched to the front of the safe, it instantly springs open and presents your firearm. Access may also be granted by use of a standard, push-button code entry or in the event of dead batteries, via the included backup key. 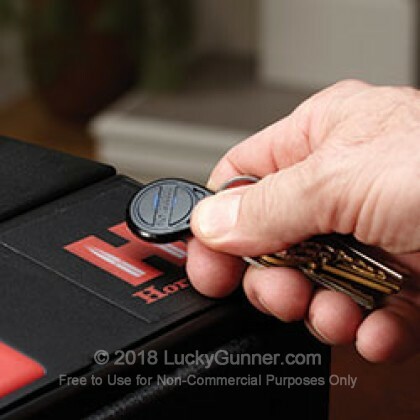 The Hornady RAPid Safe is constructed from 16-Gauge Steel and features a Quarter-Inch Dual-Lug locking system. These features allow the Hornady RAPid Safe to exceed ASTM International performance standards for youth resistant firearms containers. We don't have any reviews yet for this particular from Hornady. 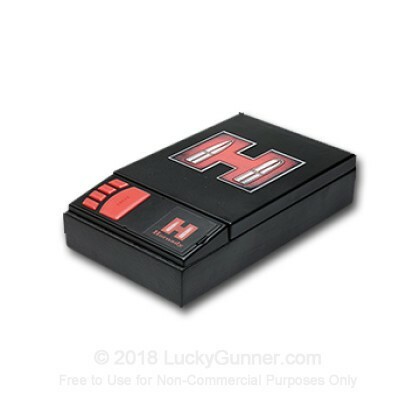 If you'd like to be the first to review this particular from Hornady, fill out the form below. Q: does this safe have a way to attach it by cable or other means so I can put it in my Tahoe and secure it under the seat or in the rear compartment. If so please specify , and send pic. A: Hello Robert, Thank you for reaching out to us about that! 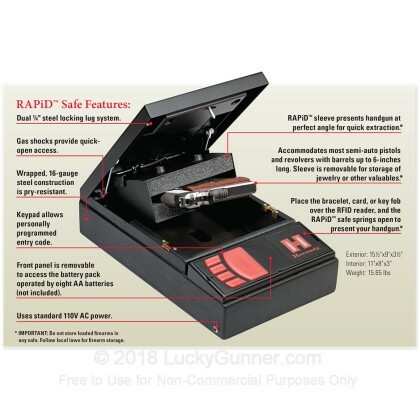 The RAPiD safe features 39" 1,500 lb. - rated cable that can be used to secure the safe for added security.